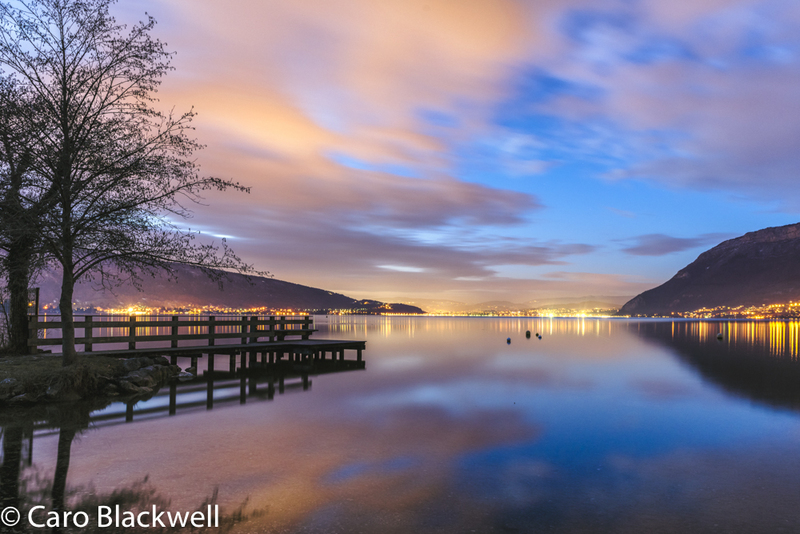 Annecy really is a jewel in the Haute Savoie crown with the most beautiful natural lake surrounded by mountains. It is a medieval town with many hidden delights, a chateau, a prison, a palace (The Imperial Palace) and some wonderful historic buildings. Not to mention great shopping and art galleries. There is a river running through the town with many small stone bridges. Also a bi-weekly food market and monthly antique market. 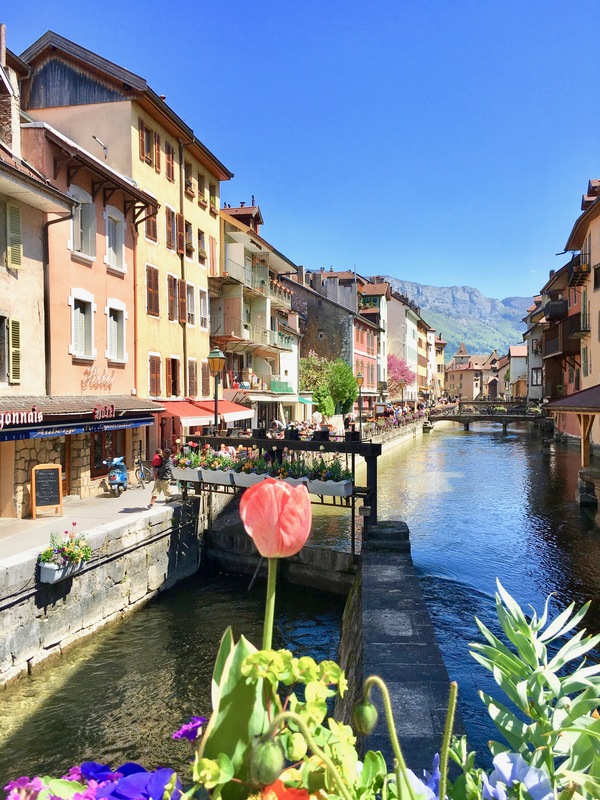 So on this particular visit to Annecy, Taste of Savoie had lunch at Le Bilboquet Restaurant Annecy – in fact, it was my second visit to this wonderful hidden restaurant. It is towards the back of the old town, so if you are planning to visit the food market on either a Tuesday or Friday you can just wander along for lunch afterwards. 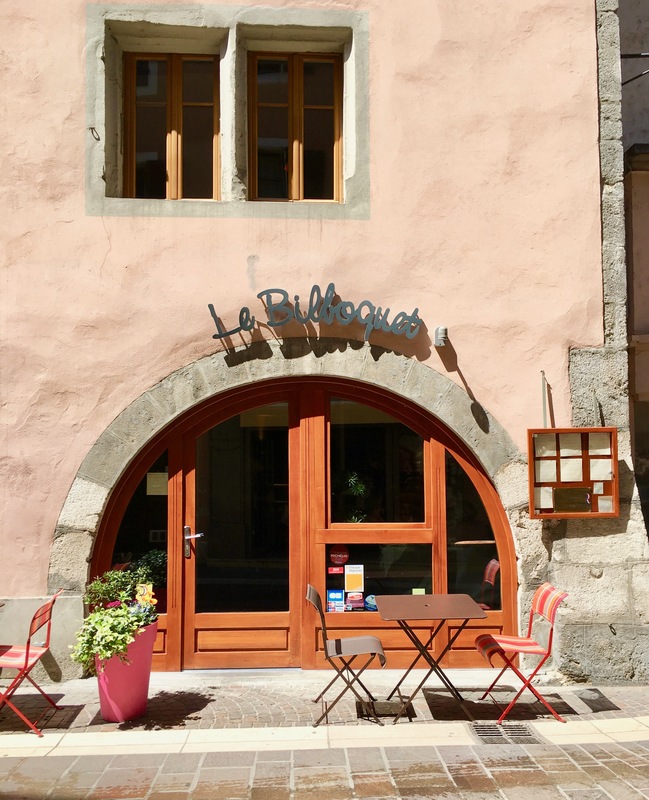 You definitely need to book at Le Bilboquet, I have walked past on several occasions to see “complet” on the door! It is a small restaurant with a light and welcoming French cave-like interior with stone walls and natural wood beams. The lighting creates a lovely informal and warm ambience. There are different seating options in alcoves, a few high tables and some lovely round tables. The service is friendly and discreet and I found the waiting staff very knowledgeable of the dishes and which wines to pair with the dishes. M Eric Besson has been the chef and owner of the Bilboquet for more than 20 years. In 2014 he gained the prestigious title of Maitre Restaurateur de France. He prides himself on using seasonal produce which he sources locally. Le Bilboquet offers a choice of menus. 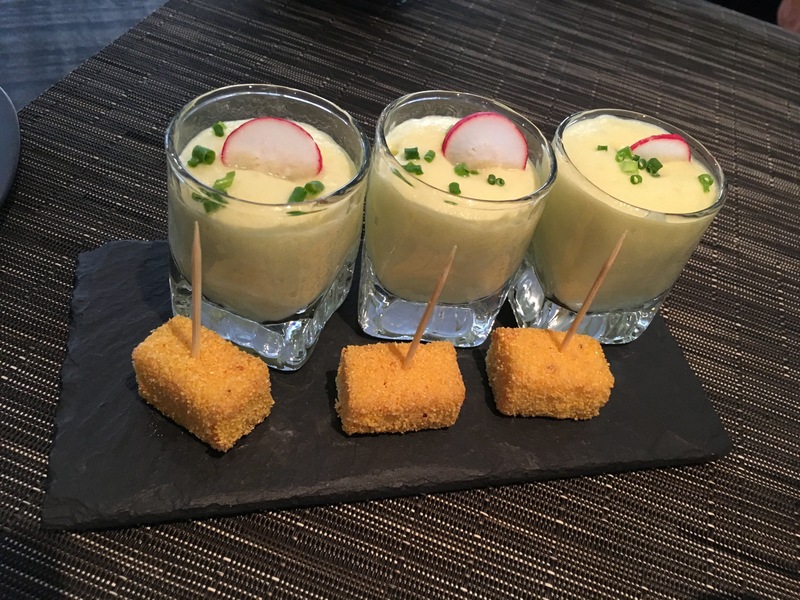 The Menu Affaire at *€23 a three-course menu with a mise en bouche is offered from Tuesday to Saturday lunchtimes. 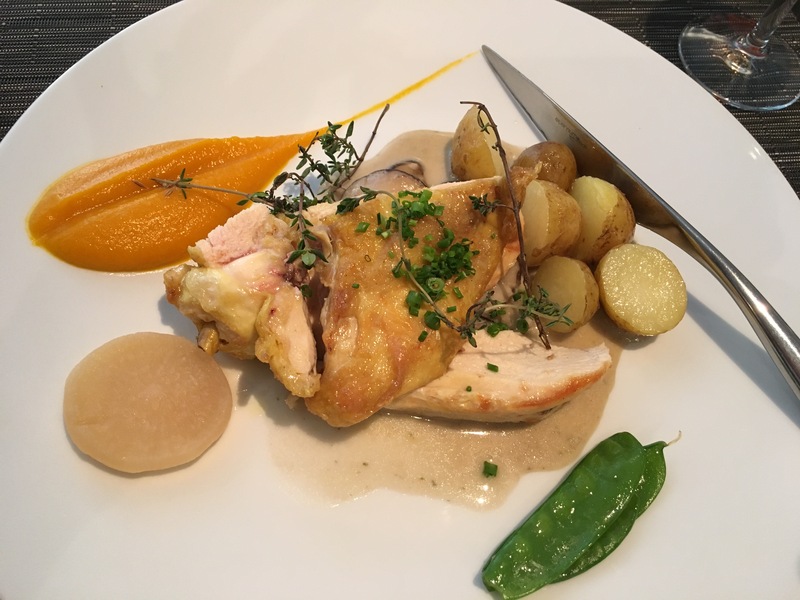 Two other menus with choices are offered the Menu Sainte Claire au Choix at *€33 and Menu Plaisir au Choice at *€44. Everything is ‘Fait Maison’ so home-made in their own kitchens. 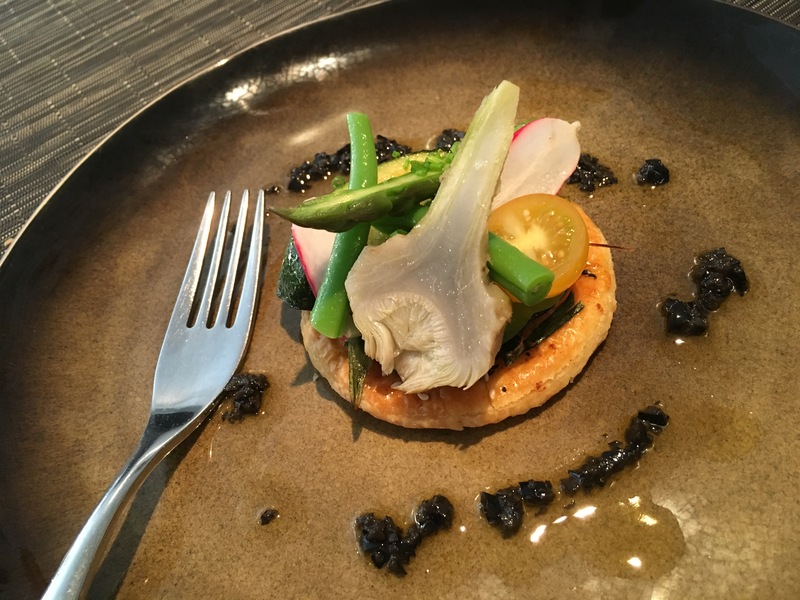 On my first visit on a weekday lunchtime I chose the Menu Affaire, this represented great value and was simply delicious. The starter of: Tarte Feuilletée aux Epices et Cebettes, legumes Méditerranéen de mon Marché. A delicately spiced tart with spring onions and seasonal Mediterranean vegetables. 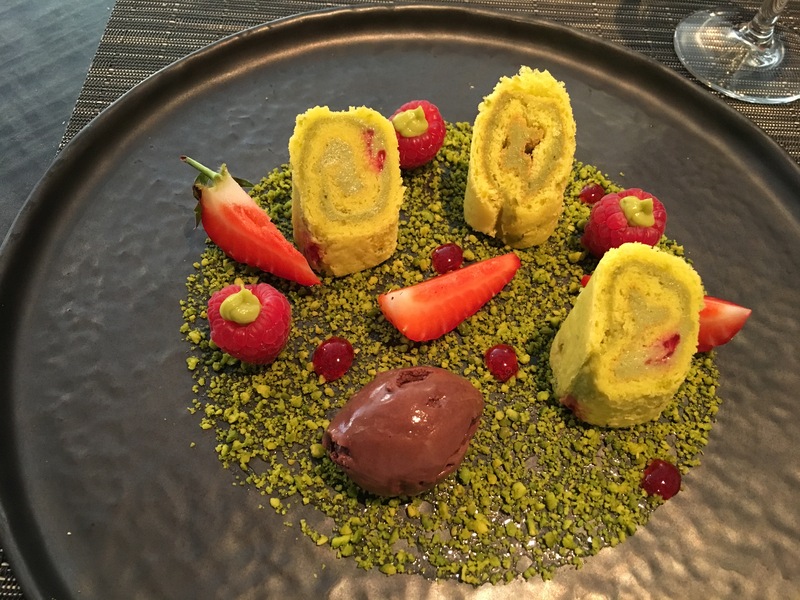 The dessert served was an amazing colourful dish with an avocado roulade, with basil flavours, pistachio and raspberry. Coffee was served with these delightful home-made gourmandise! 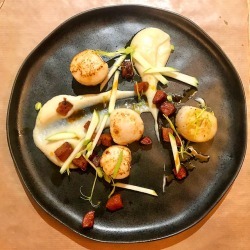 On my second visit to Le Bilboquet Restaurant Annecy, I chose the Menu Sainte Claire. This offered a choice of 2 dishes for the entrée, main dish and dessert. 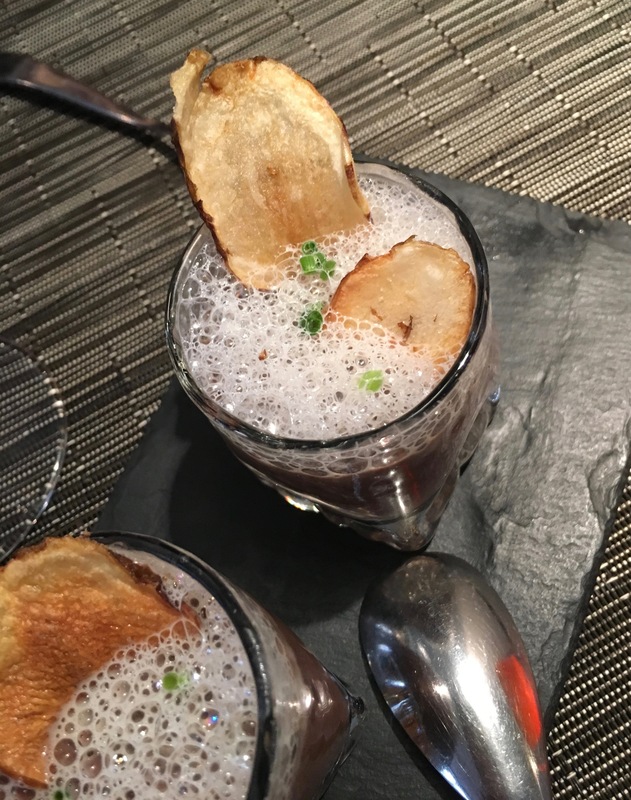 This menu was also preceeded by the amuse bouche. The starter/ entrée: Ravioles de Champignons des sous bois, Emulsion de lard, crispy Coppa, noisette grilles was so delicious! 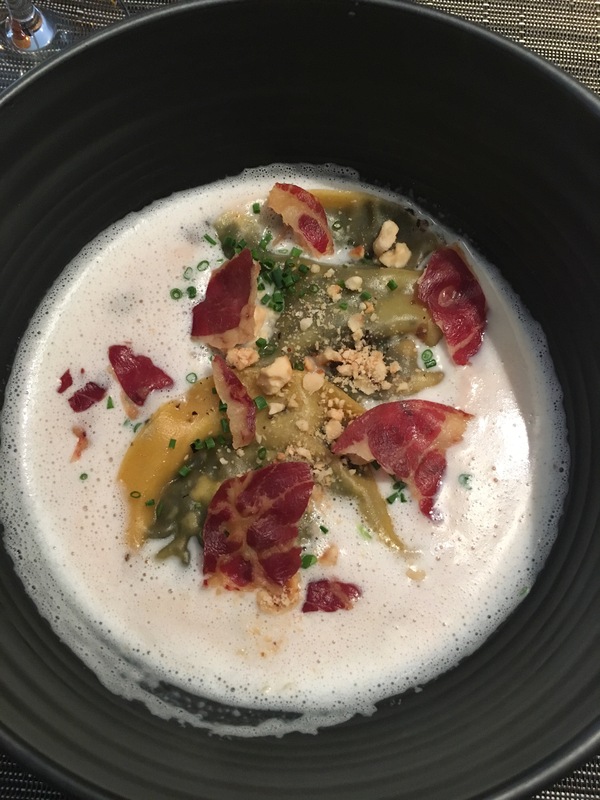 Wild mushroom ravioli with a bacon foam, crispy coppa and hazelnuts. For my main course I had a wonderful Noix de joue de porc fondante (label rouge). Pommes de terre vitelotte, betteraves Chioggia. 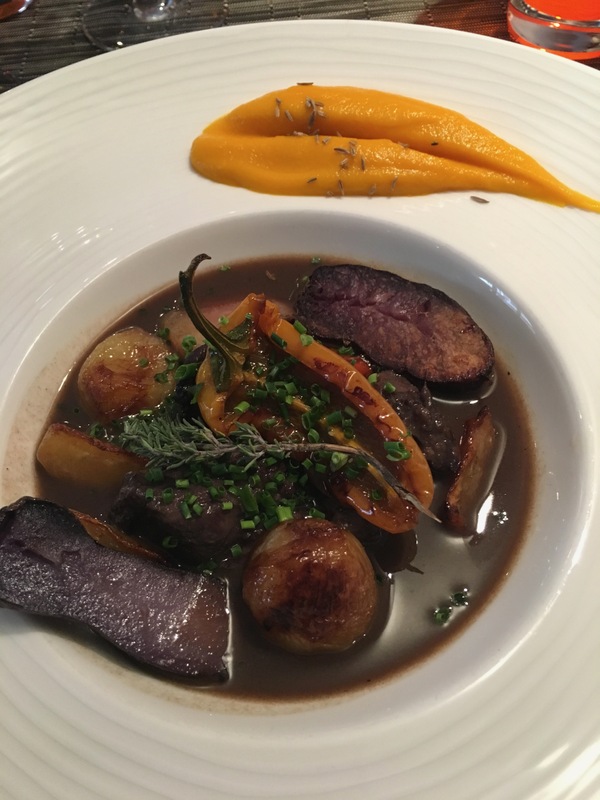 Finest slow cooked Pork cheek, with purple potatoes and beetroot. The beautifully presented desserts tasted divine. 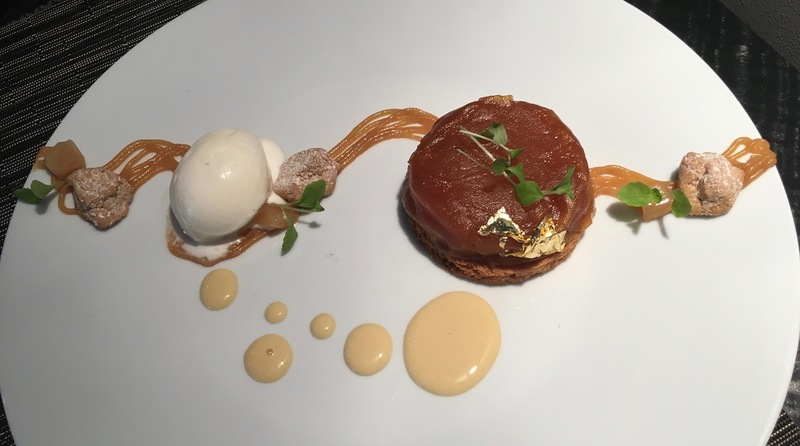 A decadent take on an apple pie, with caramel, cream and a gruyere cream flavoured ice cream – complete with gold leaf! 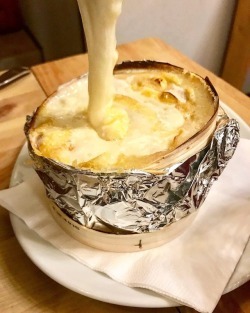 Le Bilboquet restaurant Annecy for me is everything modern classic French cuisine should be. 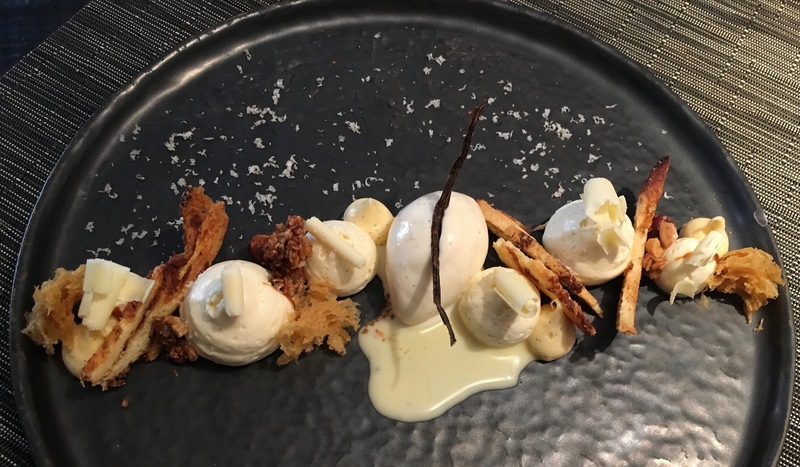 The chef clearly takes great pride in his work, sourcing the finest local ingredients and then cooking them to perfection in innovative and interesting ways. The dishes are full of flavour and the presentation of the dishes have been well thought out and beautifully executed. 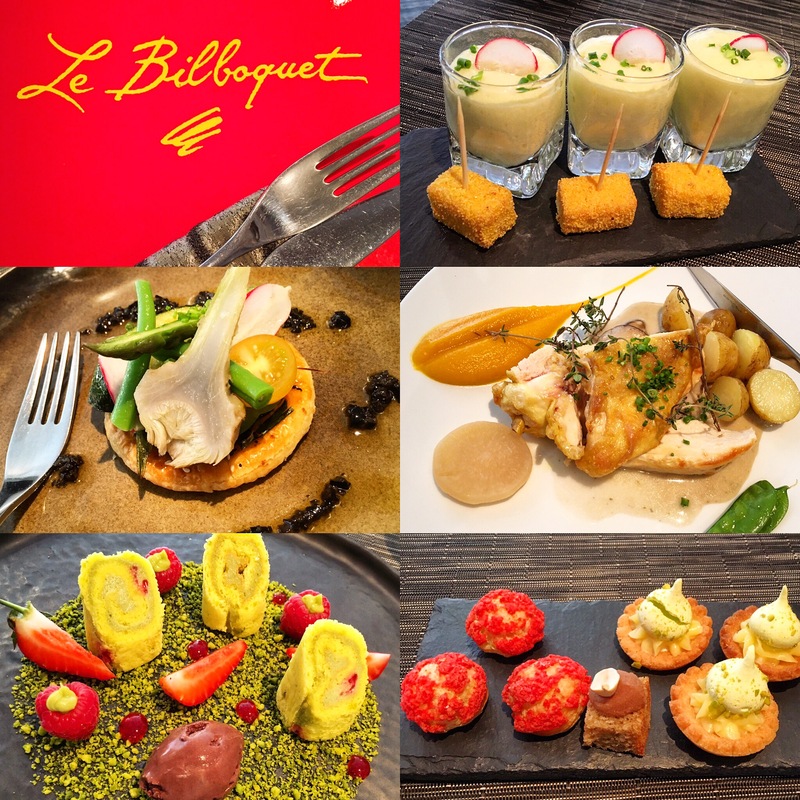 I will happily keep going back to Le Bilboquet for a great dining experience! ← Baked Reblochon Pithivier style!